We've heard you're bored with normal hotels. Sick of those soft beds with extremely high linen counts, and you want something more...exotic. 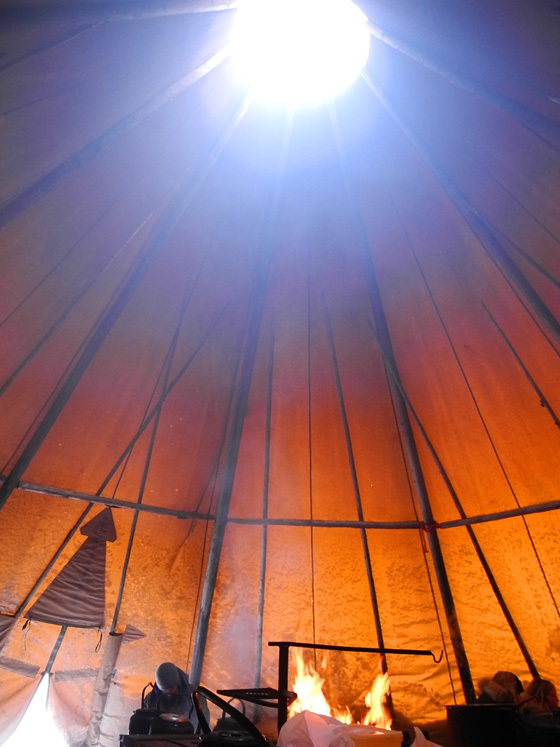 You could head to the woods, you could take to a hammock on the beach, or you could land yourself in a gigantic igloo and be the happiest camper around. I'm already one for the cold - a lover of snow, ice, and all things snow sports, so sleeping in an igloo was something I've always wanted to do. 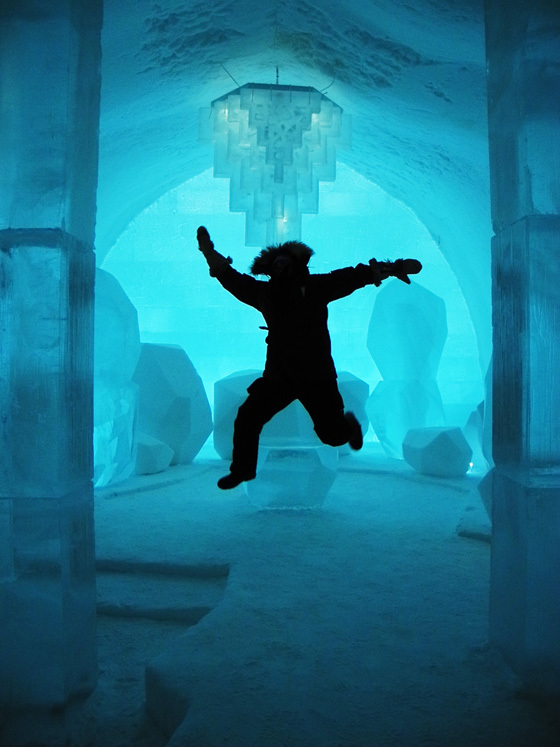 Lucky for me, I was headed to the most epic igloo of them all, The Ice Hotel, in Kiruna, Sweden. 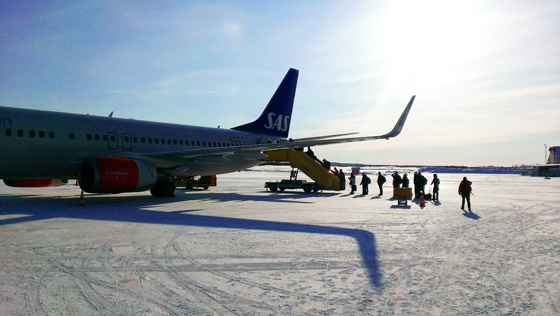 We landed in Kiruna midday and were immediately led to a tent where we were given full snow suits: pants, jackets, boots, balaclavas, you name it, we had it. (I had my own personal mittens I purchased earlier in the year, Eskimo inspired mittens with the Colorado flag beaded upon them). 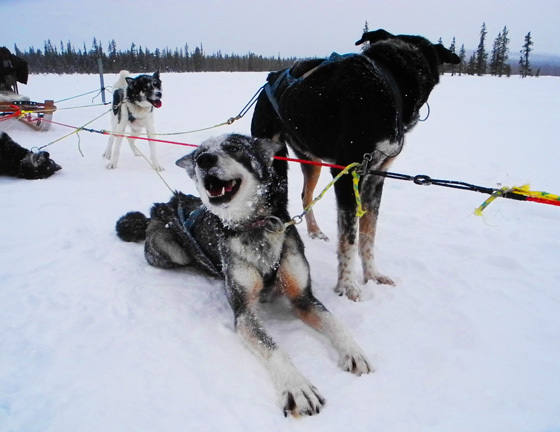 For the record, these mighty beasts were some of the most amazing, energy filled, enthusiastic dogs I've ever seen. All they want to do is RUN. And run they did. Led by our incredibly tough female (!!!) 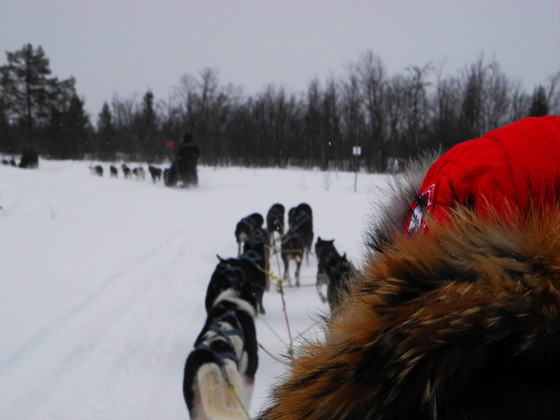 musher, they led us through winding snow tracks, up and down hills, all the while knowing the path and where they were going. Amazing. 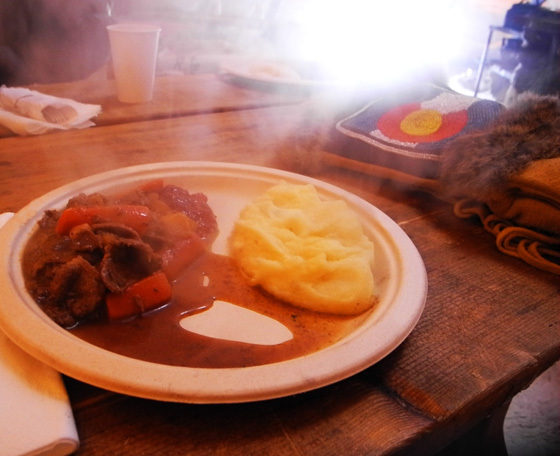 We stopped for a bit of lunch, oh you know, a little Moose stew and some warm Lingonberry Juice. Quite tasty, I must say. After lunch, we were back on the trails with the dogs. When we arrived at the Ice Hotel we were given a short orientation, and given a quick history of the hotel. It's quite an amazing structure, and it is rebuilt every year. 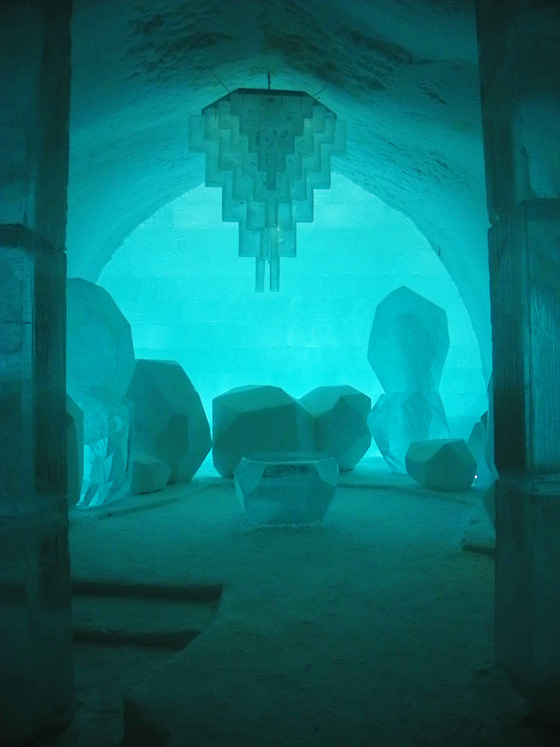 The team brings in artists and designers to design and build art rooms which have different themes and variations in the techniques and forms in the snow. 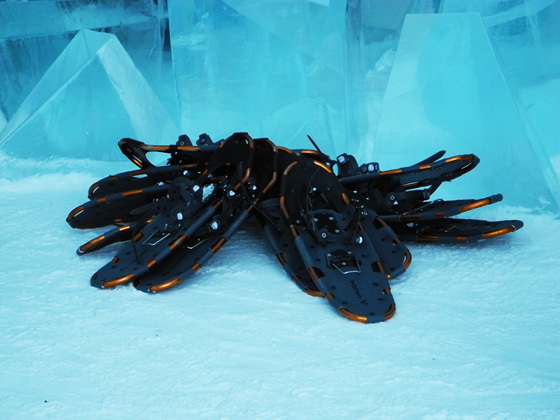 There are two different types of ice used to build the Ice Hotel: Ice blocks cut from the frozen river outside (clear ice) and Snice, a mixed combination of snow and ice (the opaque walls). 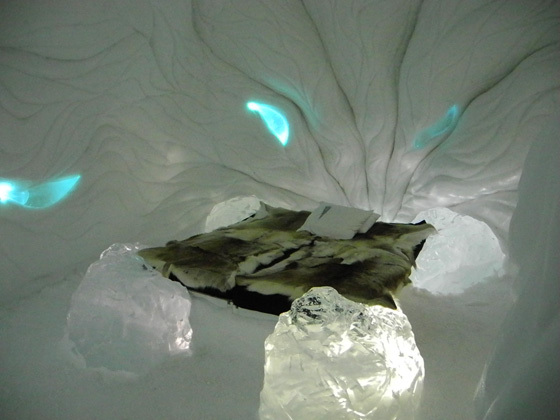 Throughout the Ice Hotel there are different kinds of formations; furniture, ice sculptures, games, chandeliers, and expressive carvings. It was, impressive to say the least. 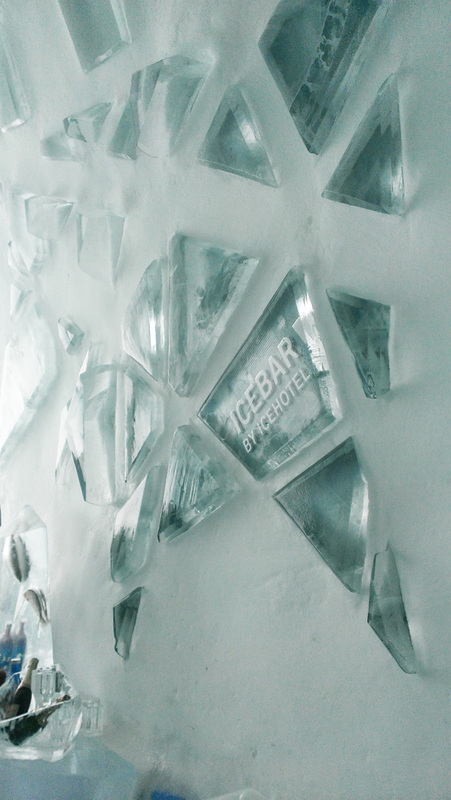 After a tour through all of the art rooms, we made our way to the ice bar. 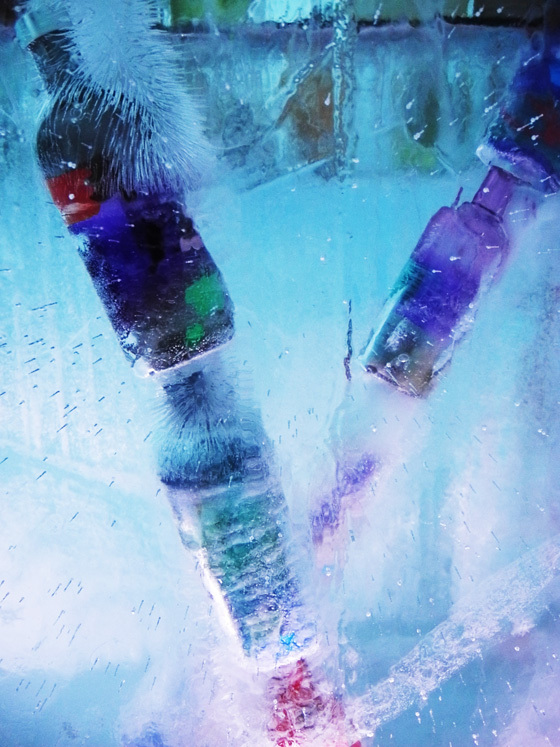 Colorful cocktails are served up in clear ice "glasses", which are ice blocks with a cylindrical hole for said cocktail. 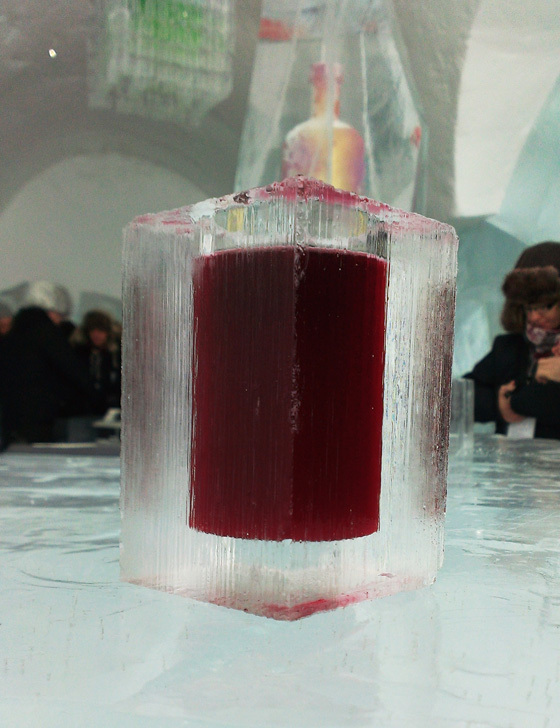 We went with a Lingonberry vodka number to start, and then a blue champagne vodka tipple that conveniently matched the blue like hue of the ice hotel itself. The ice bar was made of ice, obviously, and cast inside were those gorgeous Absolut Unique bottles I am currently obsessed with. 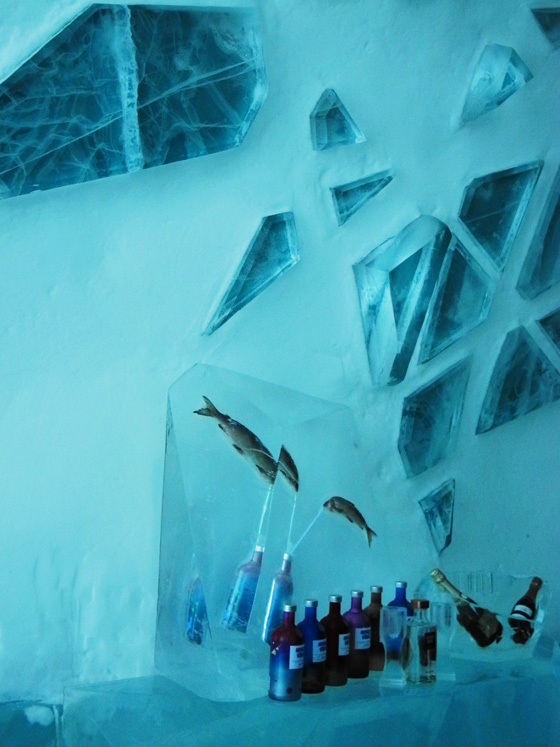 Behind the bar were a couple of fish, frozen in their icy canvas, sipping vodka through straws. Ah, the life. 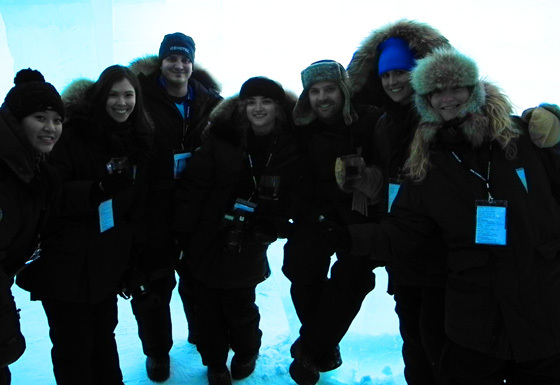 The Ice Bar was filled with lots of different people, those staying the night and those visiting for the day. 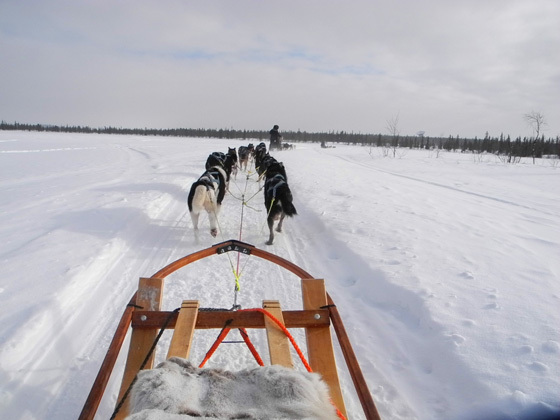 People would come in via snowshoe, dogsled, snowmobile, or were staying in nearby warm rooms. We explored the rooms for a bit, checking out all of the different ice sculptures and details of the hotel. Our stomachs grumbled, and luckily it was time for dinner! 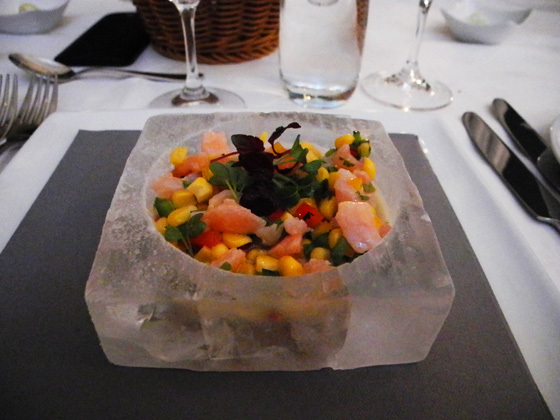 Dinner was a delightful evening in the warm building (I was relieved to have a reprieve from the cold, I must admit). The restaurant changed colors continuously as though lit by the Aurora Borealis itself. 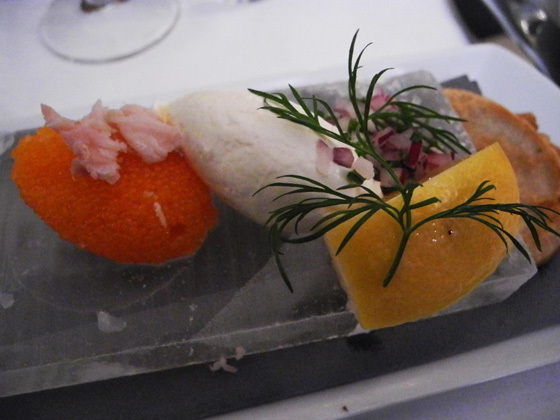 Honestly, the dinner at the Ice Hotel was one of my favorite meals of the entire trip. 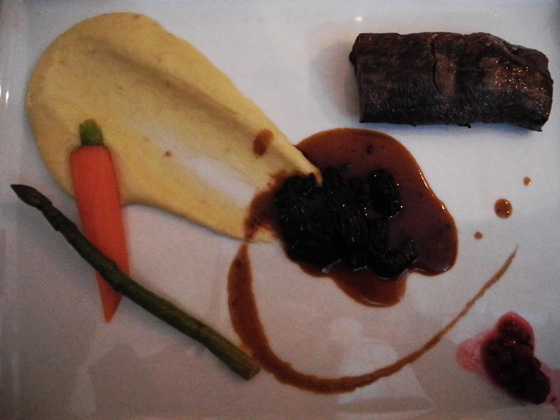 It was so simple and fresh, Whitefish Roe served with Crème fraîche, Arctic Char Ceviche, Filet of Reindeer with Morel Gravy, with Almond Potatoes, Truffles, and Vegetables, and we wrapped up with a gorgeous Cloudberry Symphony. 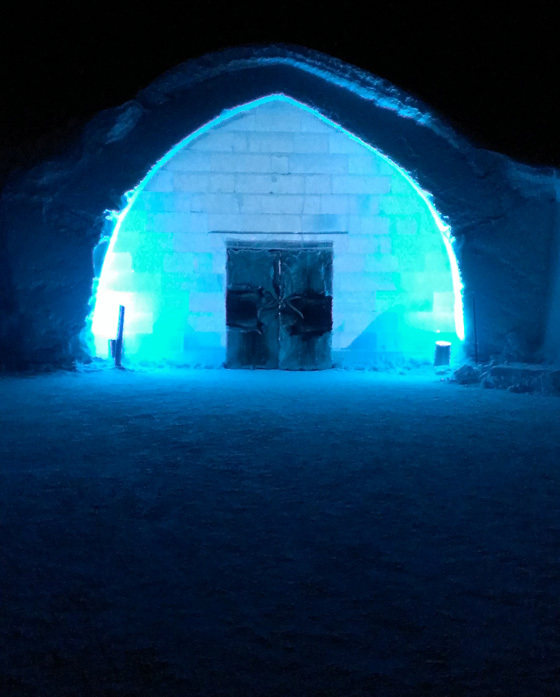 Night time at the Ice Hotel was lovely, cold and refreshing. We searched and searched for the Aurora Borealis, but apparently that night there was low solar activity, so we missed the mighty Northern Lights. 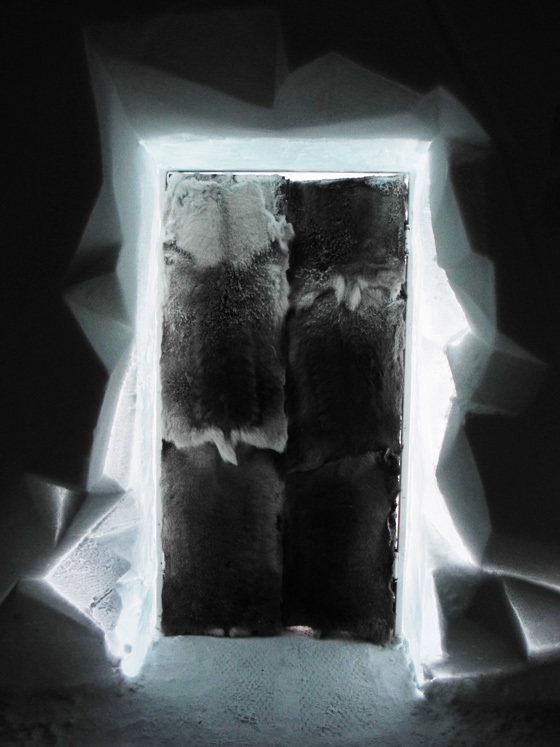 Fortunately, the Ice Hotel is very handsome at night. After a few more sips of Absolut Elyx (ok, ok, it was more than a few sips), we headed off to bed. 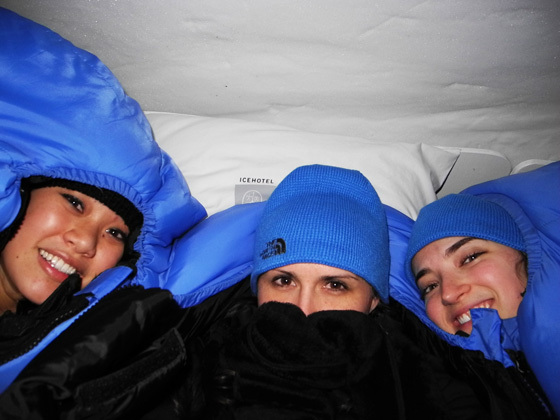 The bed was more than just an ice block, but covered in reindeer hides, and we were given sub 30 C sleeping bags to keep up toasty at night. Us girls snuggled in for the night, chit chatting, slumber party fashion, until we drifted off to sleep. 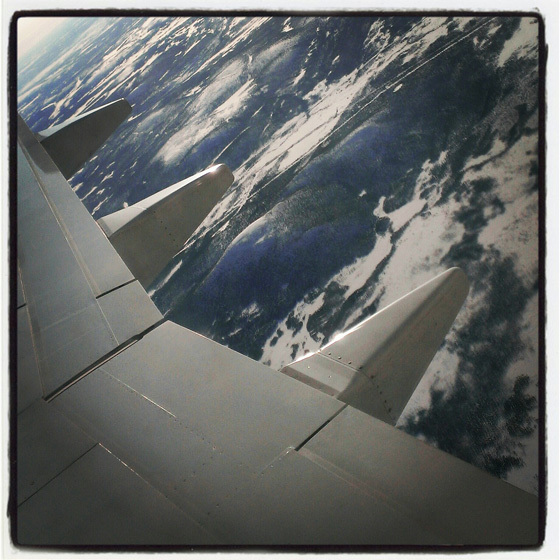 The next morning we awoke to warm Lingonberry juice delivery! 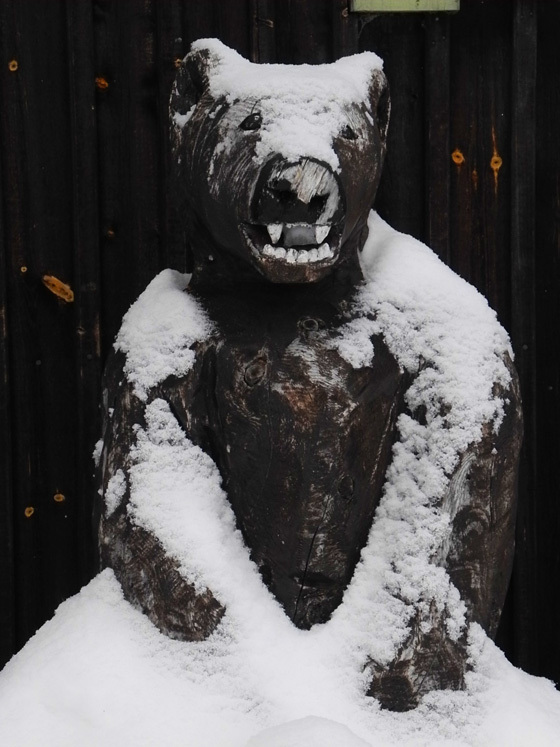 I finally ripped myself from my toasty sleeping bag, and made my way to the warm building to get ready for the day. A nibble of breakfast and a bit of coffee and I was ready for more. 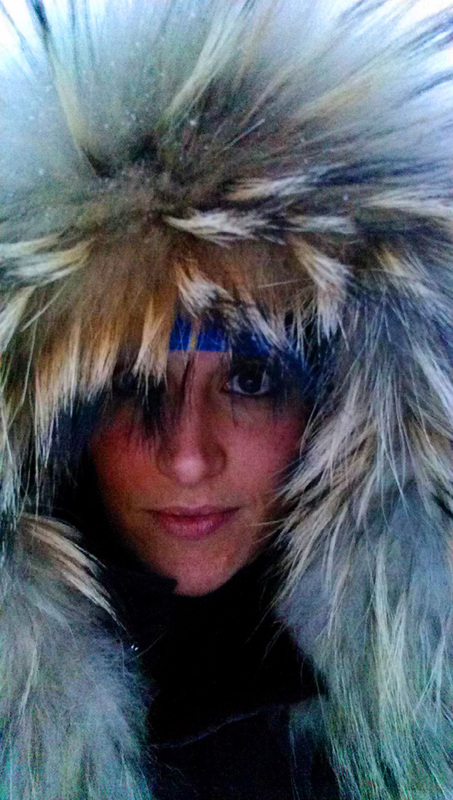 We got ready for our snowmobile safari - which this gastro girl must admit, was a bit scary at first. 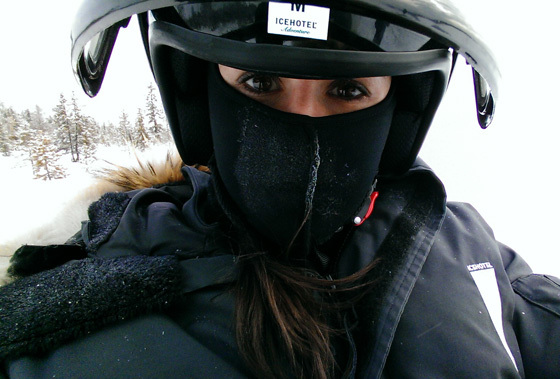 I've never driven a snowmobile, but eventually got the hang of it. 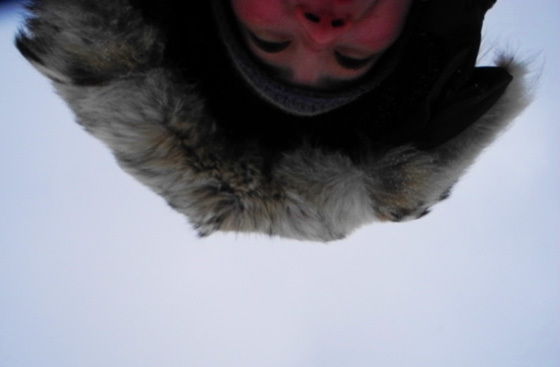 Good thing it was gorgeous out there in the Swedish tundra, and said snowmobiles had reindeer hides on them to keep us feeling posh. 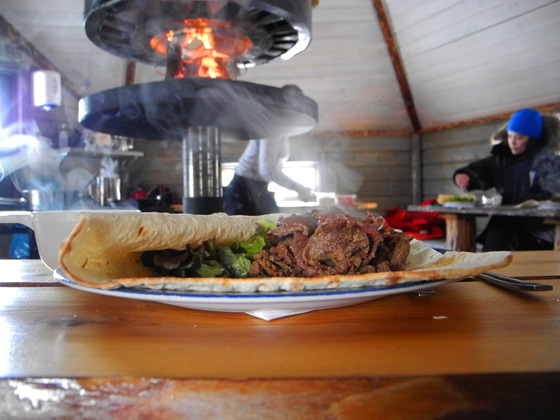 We stopped for lunch at a hut where we noshed on reindeer burritos and more lingonberry juice. They sure drink a lot of that lingonberry in Sweden, but I wasn't complaining, especially when warmed up to keep me toasty! 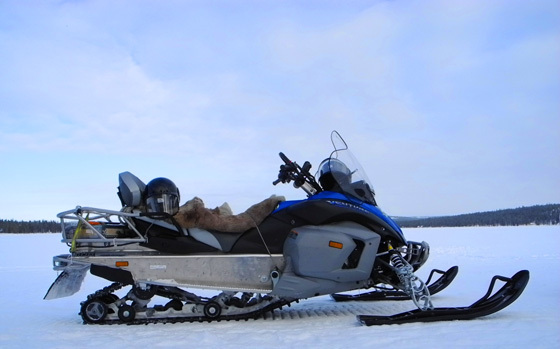 Our snowmobile guide led us through the wilderness, navigating through farms and over frozen rivers. Along the way we spotted reindeer and horses, charming beasts that somehow are much more handsome in Sweden than in the US of A. 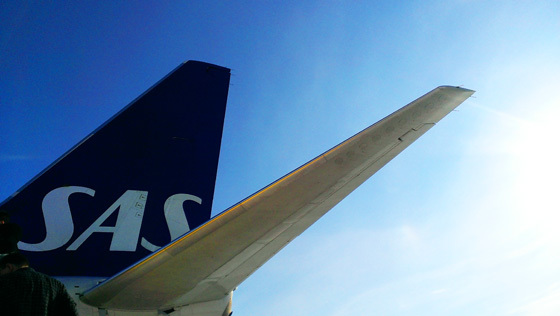 After our tour we made our way back to the airport. 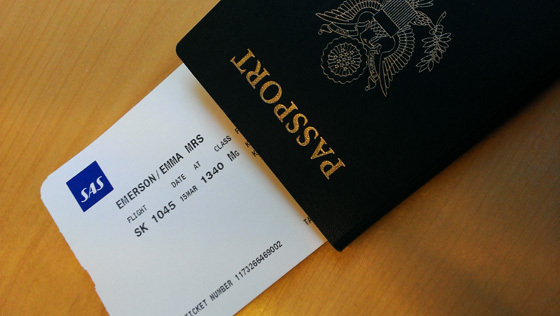 We were off to Stockholm, to get a glimpse into Absolut vodka's mission towards design and art. Next post - Warhol, Beautiful People, and oops, I just spent a lot of money. 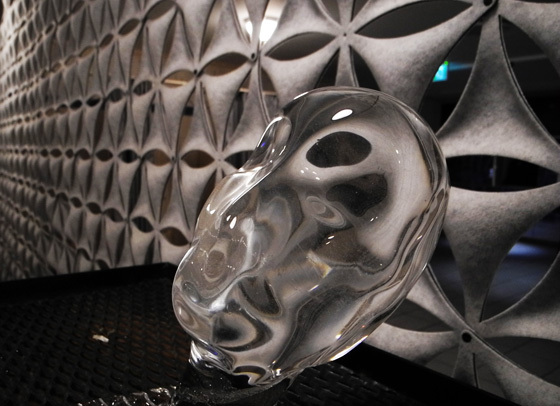 Absolut Elyx Distillery Tour - The new Absolut Vodka (and it's delicious).